It’s surprising that a comedian known for his verbal dexterity and deadpan delivery says his heroes as silent film stars. But, Paul Merton’s love and passion for early cinema are legendary. He comes across as someone who’s both knowledgeable and passionate. Again, it feels strange when compared to his persona on Have I Got News For You. When I spotted Paul Merton’s documentary on TV, I watched because I was a huge fan of his. However, I left with a newfound passion for Silent Cinema that’s changed my life. 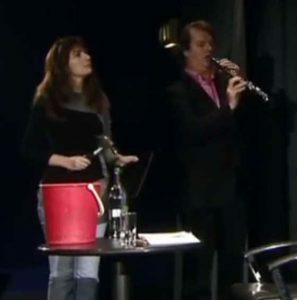 The documentary features Paul Merton giving a lecture of sorts to a live audience. He explains bits of history and screens clips of films. Joining Merton on stage are Neil Brand, a silent movie music expert, and Suki Webster, a talented improv comedian. Merton breaks up the “lecture” with by sketches and interviews. Merton begins at the beginning. He explains the race to create a film technology between America and Europe. Merton shows Eadweard Muybridge’s galloping horse, the first instance of moving images. He also explains the Lumiere brothers’ disappointing first screening. He also discusses the first British camera, the Theatrograph, which other documentaries tend to skip over. From here, the documentary focuses on English and French industries. He covers the whimsical approach of Georges Méliès and explains the camera tricks he used. The comedic talents of Alice Gee, first female director, is also covered. He also shows how George Albert Smith and James Williamson developed editing techniques. The most memorable anecdote is the heart-breaking story of Max Linder. Linder was one of the most famous film stars in the early 1910s. His popularity could is only comparable to Charlie Chaplin. Like most Europeans, Linder enlists to fight in World War I, fighting on the front lines. Merton uses Linder’s story to highlight the effect that The War had on the European film industry. The horrors that Max Linder suffered ruined his health, mental state and the career he once loved. It highlights the plight of everyone who fought and its effect on soldiers. Merton handles this delicately and emotionally. He speaks to Linder’s daughter who offers fascinating insights into his life. She is on a campaign herself to keep her father’s legacy alive. The documentary is a fascinating peek at the early days of history. It’s evident that Merton has written the script and chosen the films himself. The clips are full of surrealism and flights of fantasy that have influenced his comedy. Film clips of giant pig mascots, a lady dancing in a lion cage, and a man swallowing a camera operator all feature. Merton focuses on the comedic side of films, which is where films are at their weirdest. Watching the documentary for the archive clips alone is worth it. But Merton’s tales of the creators behind the clips are fascinating. It’s clear that he cares about preserving the memory of these talented artists. The documentary does have a couple of small inaccuracies. It just twists the truth a little for comedic impact or artistic licence in a few places. My other criticism of the documentary are the sketches seem a little out of place. They don’t add anything to the documentary. Some of them go on for a little too long. The sketches do show Merton’s style of comedy and highlight how weird some of these films are. The sketches feature but underuse the talents of Suki Webster, and I wish she’d popped up more in the documentary. Ultimately, Paul Merton’s documentary is a great starting point for anyone looking to get into silent film. Its a fascinating insight into the film industry in England and France. Other documentaries tend to favour the American industry, despite pre-1914 European films being better commercial successes. 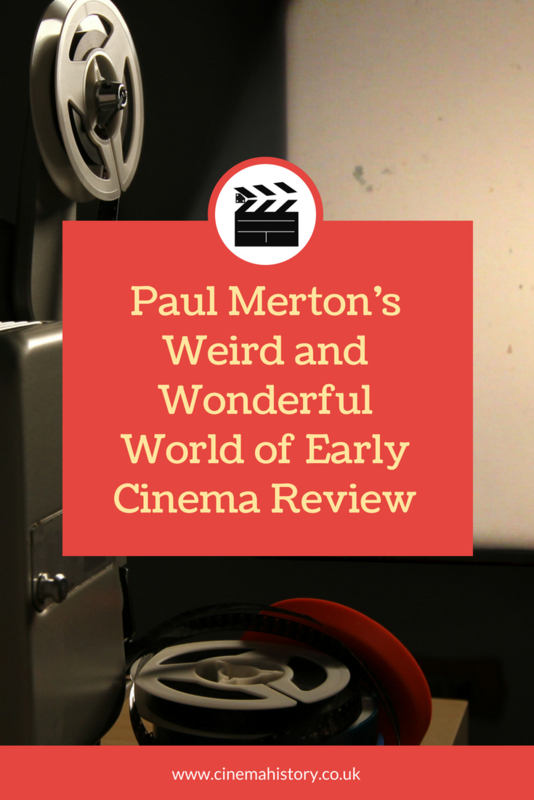 Merton’s surrealist humour fits well with the weird and wonderful world of early cinema. It’s a light-hearted and easy to digest documentary that will suit both beginners and experts alike.